Asase Yaa | Take Back Halloween! Asase Yaa is the earth goddess of the Asante people in Ghana. She created human beings and receives them back into her body when they die; she is also the mother of the gods. There are no temples to her, for the earth itself is both her body and her temple. There are also no standard anthropomorphic depictions of her, which means we’re free to come up with our own costume. 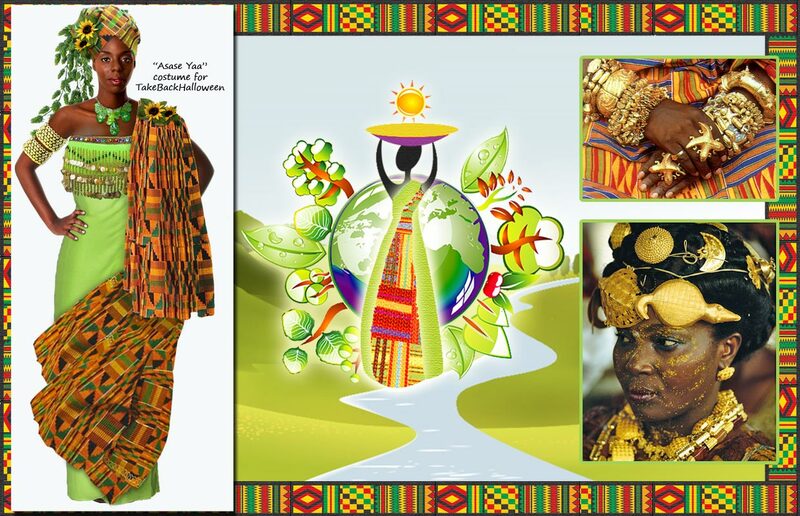 Our design is a blend of inspirations: the kente cloth and fabulous gold jewelry of Ghanaian royalty (inset photos in our main illustration); the green plants and sparkling gems that are the gifts of the earth; and the libations that farmers pour out to Asase Yaa in their fields. 1. Lime green sarong for your base layer. Wrap this around your body just under your arms—like a giant bath towel—and pin it along the sides to shape it into a full-length gown. This particular sarong is extra-long; if you get regular or half-size sarongs, you’ll need to use two and layer them together (one around your waist for the lower skirt and the other under your arms for the top half). 2. Lime green scarf with gold coins . This velvet scarf is an easy way to transform your sarong into a jeweled extravaganza. 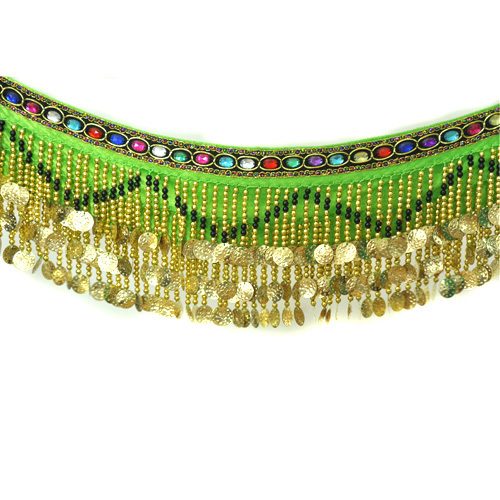 It’s about 55 inches long by 9 inches deep, and has faux gemstones along the top edge and three rows of very shiny goldtone coins. Wrap this around you at the top edge of your sarong, just under your arms, and tie in the back. 3. 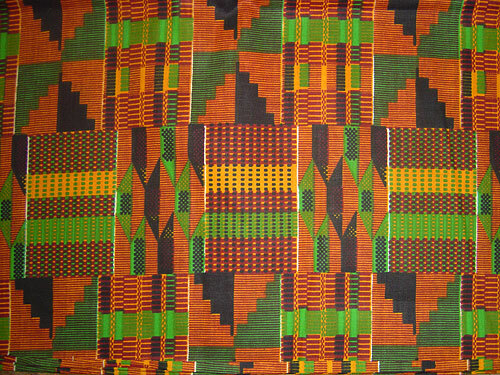 Bolt of kente print cloth. The bolt is 12 yards long and 45 inches wide. You’ll need to cut off one 15″ x 72″ piece at the bottom for your headwrap; see below for a cutting guide and a video on how to tie it. The remainder of the bolt—about ten yards—you’ll use as a big toga-like wrap. Begin by throwing about three feet of the fabric backwards over your left shoulder. Wind the bulk of the material around you in a big loop, from front to back, and bring it up behind you to your left shoulder; pin in place. With ten yards, you’ll have enough fabric to do this loop around your body twice. Finish off by throwing the last three feet of the fabric forward over your left shoulder to hang down in front. 4. 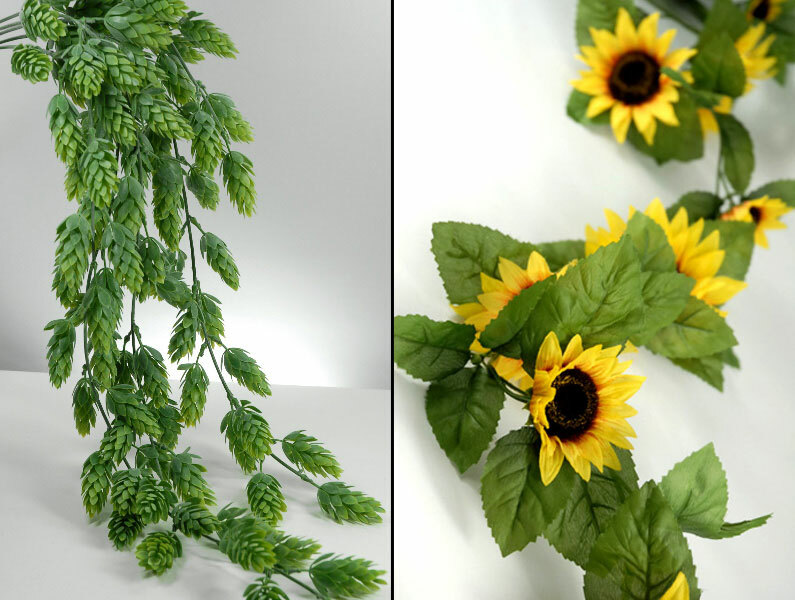 Artificial hops vine and artificial sunflower garland. The most popular libation to Asase Yaa is beer, poured out on the ground during naming ceremonies and other important rituals. This hops vine is 30 inches long and looks great cascading out of the headwrap. Cut individual blossoms off the sunflower garland to decorate your headwrap and to cover up the pins on your left shoulder. 5. 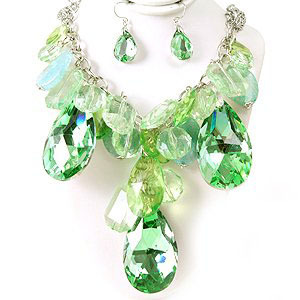 Chunky green necklace and earring set. We absolutely love the color and gleam of these huge crystals. 6. Goldtone stretch cuff bracelet. Gotta have more gold. We show two of these cuffs, but really, just pile on as many as you can. Shoes: Gold sandals would be ideal. 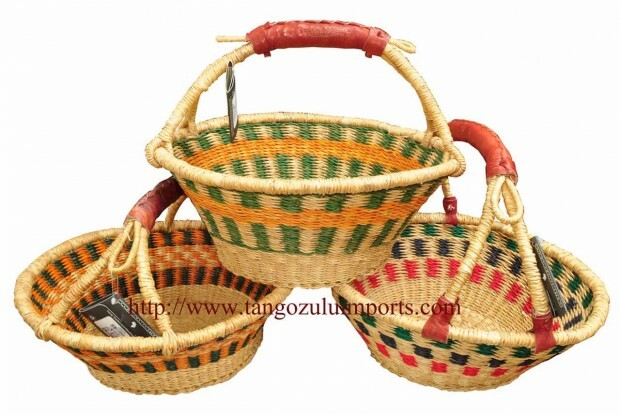 Bonus points: Carry a beautiful Bolga basket from Ghana. These are fair-trade imports from Tango Zulu, with lots of different sizes and prices. You could fill it with Halloween candy, fruit, flowers, or decorative ears of corn (corn is a huge crop in Ghana). First cut off the bottom two yards (72 inches) from the bolt. (The other ten yards is for your main toga-like wrap.) This will give you a piece of fabric that is 72 inches long and 45 inches wide. From that piece, cut one headwrap that is 15 inches wide and 72 inches long. This is a good basic size for tying around your head. The leftover piece is 72 inches by 30 inches; you can also experiment with using that as a headwrap, especially if you want to do something very big and elaborate.